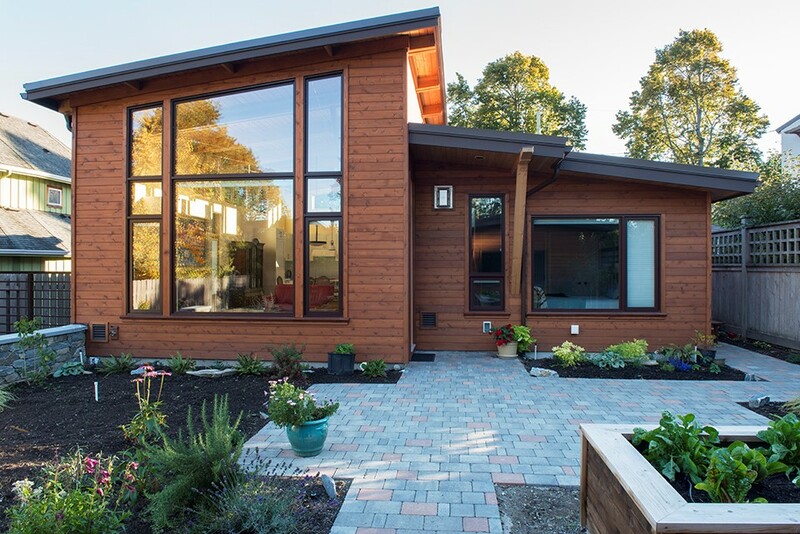 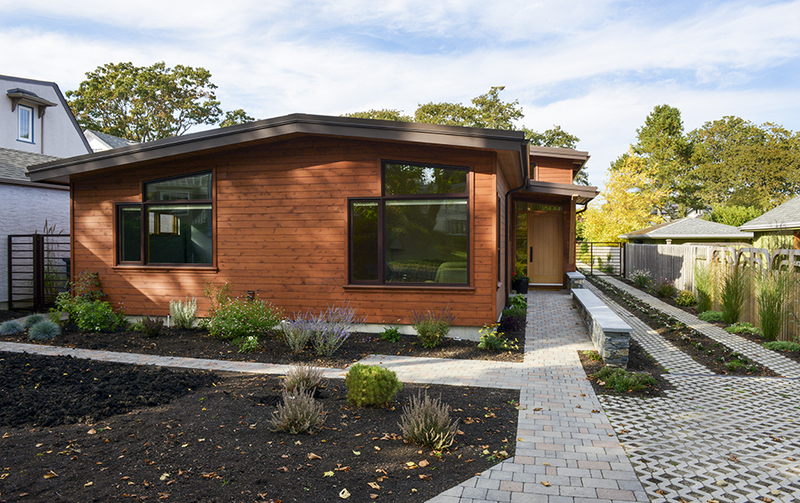 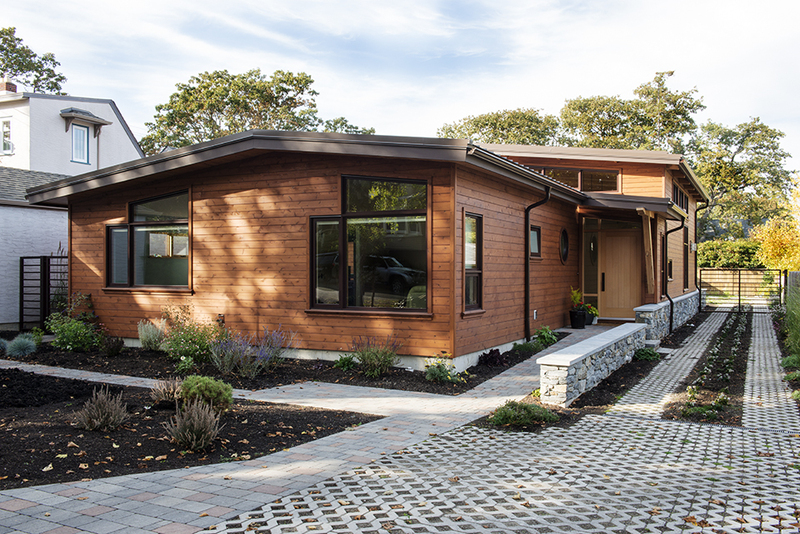 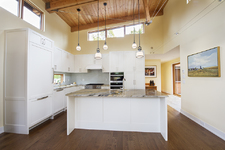 This new custom residence in South Oak Bay was designed to accommodate an active couple with interests in photography, gardening and the outdoors. The single level layout features a great room with kitchen, living and dining functions overlooking a private rear garden and nearby stand of garry oak trees. 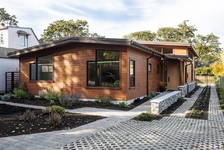 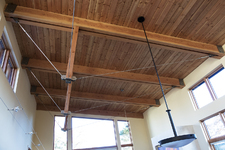 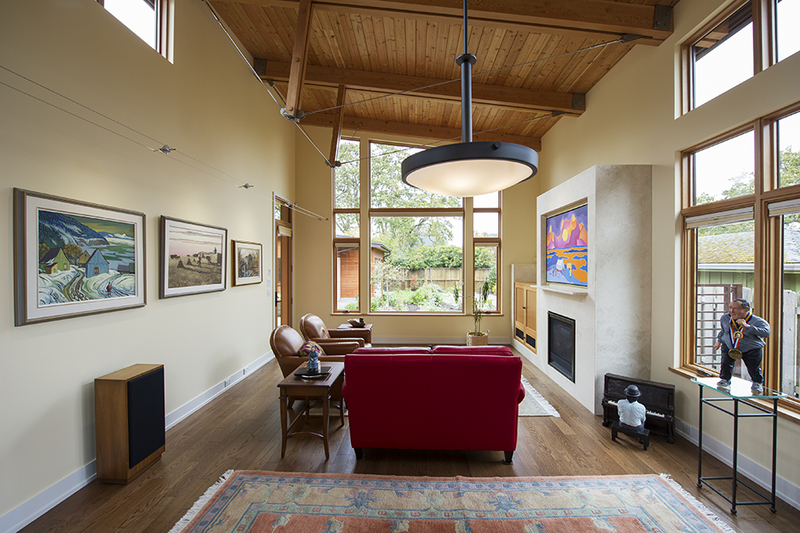 The westcoast contemporary design features cable-tied douglas fir trusses and ceiling finish, wood windows and cedar siding. 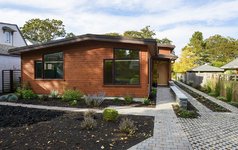 The windows are configured to bring natural light movement into the house from sunrise to sunset.A small private courtyard is located along one side providing light and intimate views from the entry hall, photo studio and ensuite bathroom. A garage is located in the rear of the narrow mid-block site with access via a turfstone driveway. The low slope standing seam metal roof is expressed as a vaulted ceiling in all the major rooms.